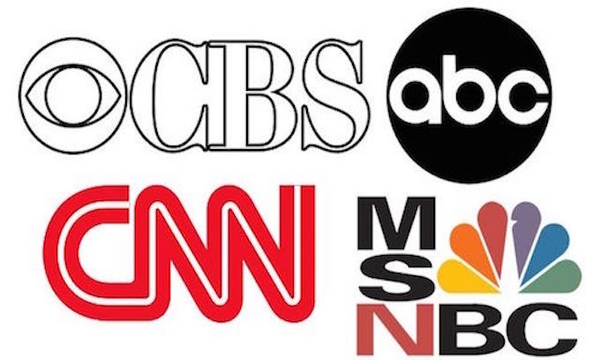 The dishonest establishment media, which has been vicious to President Donald Trump, is now attempting to dehumanize him and his legions of supporters by comparing them to some of the most hated people in Earth’s history. Realizing that, despite more than 16 months’ worth of non-stop negative coverage they can’t crash his approval ratings low enough to justify impeachment or otherwise drive Trump out of office, the media has resorted to comparing his voters to Nazis and white supremacists who are not even worthy of basic courtesies like being able to eat a meal in public in peace. Just not all Americans, right Wolf? How else to explain the increasing frequency with which Republicans, and Trump voters specifically, are described on air as racist, Nazis, and undeserving of common courtesy (such as eating a dinner without being harassed)? A montage put together by the news organization lays bare the establishment media’s disdain for Trump supporters. The recent media-generated ‘controversy’ over family separation at the border as well as the administration’s “zero-tolerance” policy of arresting all adult illegal border crossers and prosecuting them, CNN and MSNBC especially have become echo chambers for the perpetually unhinged Left-wing commentariat. Most often guests are making inflammatory remarks, but the program hosts are not stepping in to ask them to dial back the rhetoric. That’s dog whistling to the perpetually unhinged Left that it’s okay to target Trump supporters because they are the moral equivalents of people who gassed 6 million Jews. Then there was that time when reports noted some elderly Americans inadvertently shared a Facebook meme that was created in Russia and CNN tracked down one of them to harass her on national TV. CNN then threatened to “dox” another Trump supporter including publishing their address because he created a meme mocking the network. CNN contributor Michaela Angela Davis recently proclaimed that “all” Trump supporters are racists. “Tens of millions of people voted for him after he showed his cards for years,” she said. Patently not true. Trump, before he declared for and won the presidency, was lauded by the black community. Anchor John Berman asked Davis to clarify whether she meant all Trump supporters (including, presumably, supporters of color) if they were racists. “Yes, yes,” she said. There are many more examples and you should watch them — click here. Read more about the Leftist fake news media at NewsFakes.com.